Skill India: Align skill needs & availability. - We have to be competitive for export penetration. It could be cost advantage or innovation advantage. But currently we have neither of them. - For getting there we need Skill India, Digital India, Innovation India and Startup India. All these are inter linked and all of these have to take off. 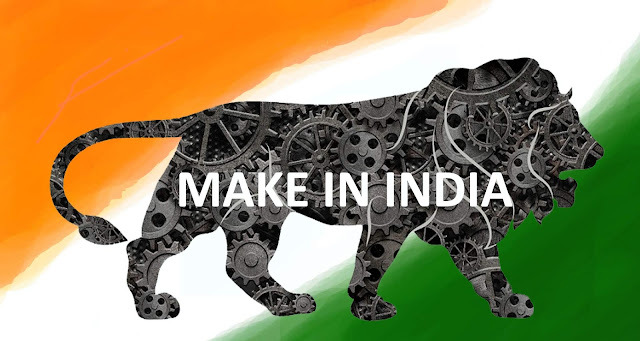 - Instead of competing on export basket first, we are concentrating on import substitution with Make in India program . Defense buying from Make in India is focused upon first. - As far as skills, there is a huge job on hand.The research agencies just say that young demographics of India will lift India. It is an over simplistic statement. We need a SWOT ( Strengths- Weaknesses- Opportunities & Threats) analysis for each village, that has to culminate into a district level SWOT. Every district collector has to operate as a CEO of the district. They have to report to the CEO like pm of the country. - if they want to go abroad, then develop their skills to the requirements of the global regions. In short we need to have skill requirement forecast that has to get aligned to skill supply. Otherwise “too many engineers but no takers” situation arises. We have a long way to go. But for doing these we need to see eye to eye at every level and operate with the single goal of reaching G3 status in next ten years. One political party has to aim at winning max states, and laying down a national foot print. Each five year they have to come back overcoming the noises of several vested interests. If the states do not converge with the pattern of the centre, then national alignment may only be a distant dream. If multiple parties run the states, atleast we should have a common minimum goal as a base foundation. We should converge every one towards one theme - “to reach G3 status in ten years”. We have to define it as the basic minimum programme against which the political parties have to evolve their election manifestos. The goal of reaching G3 status in ten years should be the single point agenda on which there should be a national convergence. Every one should wear this vision on their sleeves. Rest of the issues should revolve around that vision. All that glitters are US dollars? -There are a lot of criticisms on the kind of growth that comes out of USA today.. by increasing fiscal deficit heavily and offering too much tax concessions, momentary growth is shown. It is not a sustainable model with continued deficits in long run, according to many experts view. Note that the cumulative deficit under last President of USA was higher than the collective deficit of his 30 predecessors (Presidents) (1 trillion USD per year). He had to do that to bail out the economy from sub- prime disasters with an understanding that the deficits will be unwound in future. The future, which is the current one is of-course only adding further deficits. - While in short term - GDP growth, consumption, employment numbers may be rosy in USA now, all these are coming from borrowings. If you leverage beyond your capacity to repay, you have taken more than what you can chew. Already debt to GDP ratio has crossed 100%. in USA. A leader looks at his next term. But a statesman is seeing the generations to follow. -We need more statesman today. He should have the political guts to say that when something can not be cured, it has to be endured and sacrifice is the key. -We should not make the future generation to pay their present debt, past debt and so on. A father need not pass on a legacy of assets to his children, but he should never pass on his debts to his children. -Even USA has heavy trade deficits with China & EU inspite of the new additional tariff restrictions. Also against a GDP of 16 trillion, the permissible 2% level current account deficit is much higher than what we have on a 2.5 trillion USD GDP. -USA dollar strength (strength is sometimes triggering a new weakness) is curbing export competitiveness and increasing import penetration due to other currencies becoming cheaper. - Dollar strength is not due to any extra ordinary brilliance. 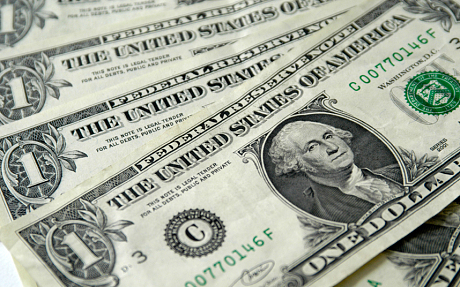 The dollar is the only accepted universal currency and many countries place their money in dollars. China is still navigating in shallow waters, afraid to internationalise their currency since it may affect their trade competitiveness with limitations imposed on their currency manipulative capability. -For next decade no other country currency can aim at nearing the strength of US dollars. That gives them ample cushion to have more dollar preference from all countries. Even oil is priced in dollar not in other currencies. Many middle east currencies are pegged to the USA dollar. People should not confuse dollar strength denotes country strength. - having said these, USA attracts best talents and best innovations come from there. That is because it is a land of immigrants with best brains and the meritocracy is rewarded unhesitatingly. But India is a land of people from organic roots and it needs to reward meritocracy with an equal focus on social justice. We can not get away from this. People who feel that merit is not recognised well in India are going abroad to the land that rewards meritocracy. But they should create mega companies like google etc in India and pass on their loyalty to their country of origin by making "Make in India" successful. We need atleast one new business model in emerging fields in India that creates disruptive innovation and become a global company on the likes of google etc. The bottom line - "All that glitters are not gold, all those that are not bright are not bad, as the lotus blossoms even on the mud." - Now, we need governance to be carried out by people who are not afraid of taking bold decisions and those who have the conviction to implement. Who is there to give such governance - take your call after an unbiased introspection. 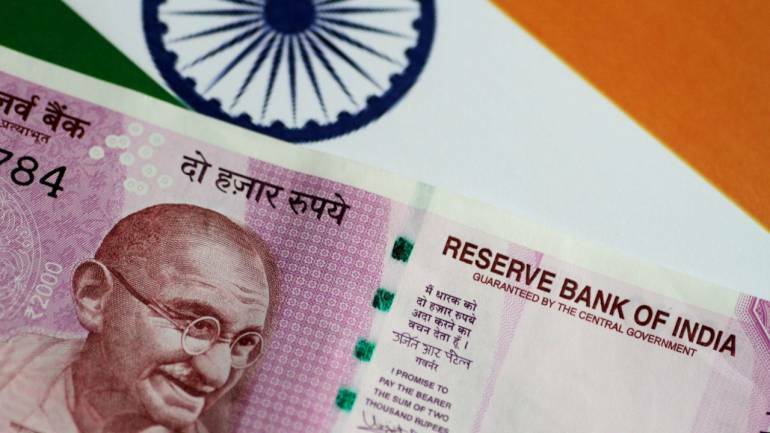 Rupee fall: Where do we go from here? At the outset, let us be clear on this - whosoever comes to government, they should not criticize the other on oil and rupee price behaviour. That is wrong as several structural factors play role on these issues. Short term remedies can only postpone the problem. We need to understand that offering Forex swap by RBI against the Forex from FCNR(B) deposits like last time, NRE bonds, NRNR deposit at higher rates, high NRE interest are all short term solutions. We postpone the problem to future or we encourage NREs to borrow abroad and make advance remittances to avail high interest rates (arbitrage). But the fact is India needs to enhance its Forex earnings. Making it only from software is not sustainable in the long run. What do we do in long run? - Raise the export sector, manufacturing sector, agri sector to a 25% level with service also at 25% level. Today 80% population giving 20% GDP and vice versa. Service led growth can not make our GDP double in five years. If we have to grow to a 5 trillion USD economy, we need to double in five years. Domestic demand driven model alone is not enough. It has to be export, manufacture, services and agri. Just saying we grow at 8% continuously will not do. We can not sustain that level of growth on as is where is basis. We need structural corrections. - Export cannot be increased just like that. We need to make us competitive, innovative. That also needs radical changes in outlook, skill mapping, discipline , digitalisation, disruptive innovation, start up cultures and so on. - We should think out of box for enhancing manufacture role (it is just a thought thrown away) say— made in India tag is not a very rosy one. In that case can we ride on the shoulders of Japan? They have an aging population. We have a sizable working population. We can synergise our strengths. We can do manufacture outsourcing for them in medium term. But we need a national consensus on allying with them and a disciplined work ethics. Organically improving our manufacturing sector to double our manufacturing share in GDP is a difficult process- it may never happen with our current work ethics. On manufacture I faced the problems of labour productivity and lost heavily as a manufacturing entrepreneur in India in the nineties. I have a first hand experience on facing this. - On oil we may need to understand when something can not be cured, it has to be endured. We need to have penalty for using more oil and both punitive (high price) & incentive measures to move us away from oil. We have fixed targets on using solar energy, electric cars and so on. We should also utilise some of our uncommitted Forex reserves to acquire offshore shale oil fields and develop strategic reserves in non-tsunami ports. I only try to emit positive rays around me. I encourage youngsters to be positive but at the same time understand the big tasks on hand.. just being too noisy by crying rupee is depreciating and oil prices going up is not enough. In my life time I want India to become a G3 nation. USA, China and then India. That means we have to topple UK (this year we will do), then Germany and then Japan. This means we double our GDP to 5 trillion level. I am optimistic we can do it in my life time. But I also know to achieve that, we need to have excellent discipline, high work ethics, less noises and more focus and finally number of structural changes along with a conviction to implement.